Joseph Newkirk had a number of sports-related injuries and injuries while serving in the military. 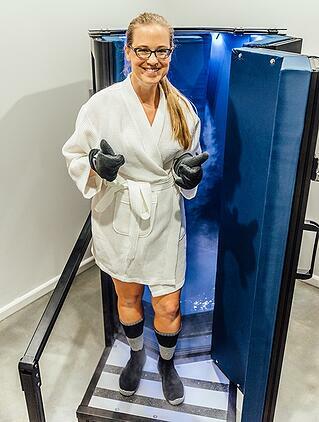 He first tried whole body cryotherapy overseas and quickly fell in love with the benefits. 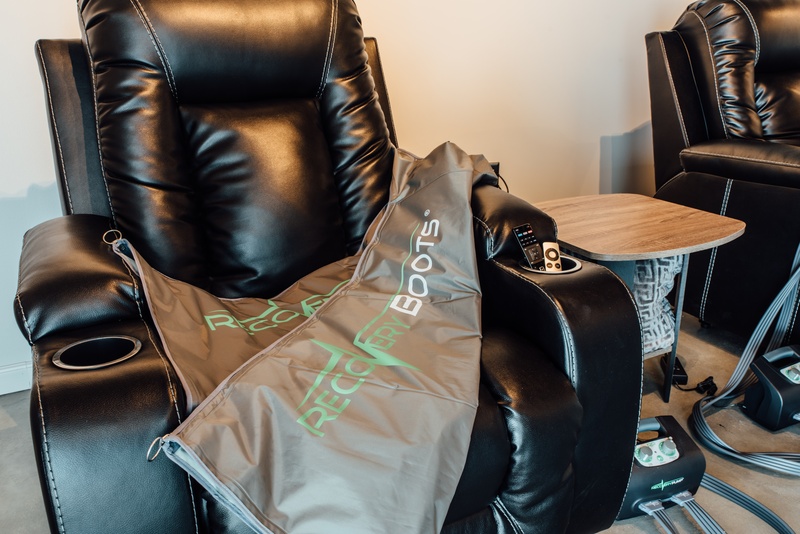 He’s now the owner of RecoveryZone Cryogenic Therapy at Brooklyn Station on Riverside in Jacksonville, Florida’s historic Brooklyn neighborhood. Upon arrival I sat in a comfortable waiting area and signed a waiver on an iPad, then was led to an oversized room where I’d undress and remove all jewelry. I changed into a provided wardrobe: white robe, special calf-high socks, slip-on shoes and oversized gloves. From there I’d head to another room where Newkirk would lead me into the cryogenic chamber where I’d stand for three minutes. I removed my robe, handed it over the top of the chamber to Newkirk, leaving both my head and tops of my shoulders exposed. Once he began the treatment I was told to rotate slowly, 365 degrees, ensuring that the treatment affected my body equally. Exactly How Cold Is It? During my three-minute introductory session, the enclosed chamber filled with what looked like billowy clouds of dry ice at -166 degrees Celsius, and dipped to -188 toward the end of the experience. While that’s a seemingly chilly temperature for anyone, this native Floridian has only seen snow once in her lifetime — so it most certainly felt cold! After rotating every few seconds for the duration of the session, Newkirk turned the machine off and handed me back the robe. I then exited the chamber and returned to the changing room. I felt refreshed. A long-time distance runner, I will say that I prefer the three minutes in the chamber to traditional ice baths in the tub after my longer, grueling training runs. He said the effects of the treatment—increased endorphins and instant relief from inflammation and soreness—would last anywhere from six to eight hours. After three to six sessions, damaged areas of the body begin to repair themselves and joint pain is relieved. According to Newkirk, after seven is when the body moves from repairing itself to rehabilitation. Newkirk explains that studies have shown that patients suffering from endocrine, immune and nervous system deficiencies experience tremendous relief and results. He said there are also findings that repeated treatments can help with weight loss, cell renewal, insomnia and overall physical and mental health improvement. 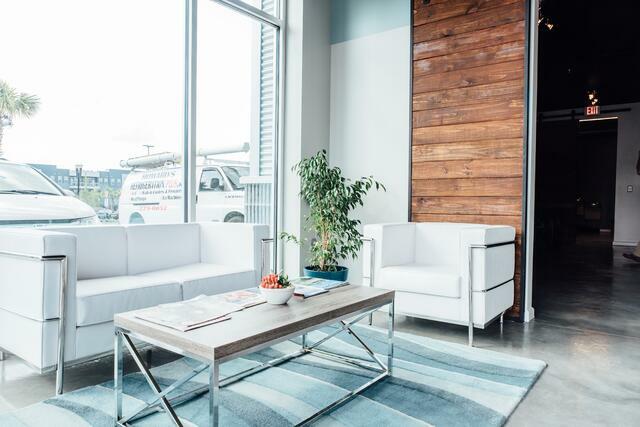 If you’re in Jacksonville and are interested in trying RecoveryZone, there is a limited time introductory special available for your first session. What are you waiting for?